I'm pretty sure this guy didn't see the irony here, but we sure do. 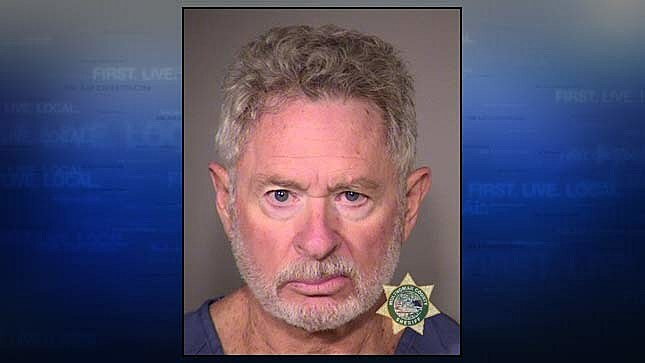 68-year-old Robert Montgomery of Gresham, Oregon got upset on Friday night when some of his neighbors were shooting off fireworks. He went outside and said the loud noises were upsetting his dogs. When the neighbors kept shooting the fireworks off, Robert decided to fight their noise with even more noise. He whipped out his gun, pointed it at them, and fired a shot into the ground. The cops came and he was arrested for unlawful use of a weapon, unlawful discharge of a firearm, menacing, pointing a firearm at another, and reckless endangerment.